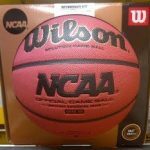 If you want to get a good indoor basketball and don’t spend a fortune, Wilson NCAA Official ball known as Solution is your best choice. This ball gets almost maximum rating on most reviews and there is truth in these numbers. This ball has all the major features most people would look and want in a ball. The ball is covered with composite (synthetic) leather, most people love this, and also it comes with wide channels Wilson balls are loved for. The ball is made in old fashioned way and doesn’t have all these modern technologies like internal air pump or air retention technology known as never flat. However, Solution ball has moisture absorbing features. 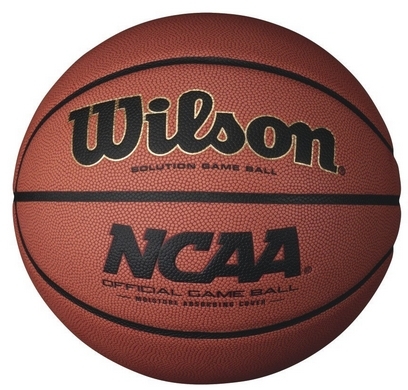 Lots of professionals nominate this basketball as still the best one on the market because it offer nice grip and playability that lets players increase the quality of their game. Patented composite leather cover uses moisture absorbing technology. How it affects grip? It has an effect because during the game it absorbs some of the sweat offering better grip. Of course there are no magic in this, if too much wet is on the ball – it will lose the grip. This technology of improving the grip was created with intention to increase grip by absorbing minor moisture from hands. Everyone gets sweaty during the game so it’s an actual problem and Wilson did a good job on solving that. Thousands of micro-pebble touchpoints offers amazing grip. The ball has microfiber channels, and it bounces great. Replacing rubber with microfiber was a good choice as it keeps air pressure better and improves bounce a lot. This ball was created with help from the best NCAA coaches, as Wilson listened to their advice carefully and made this ball on of the best for indoor game. After several years of use these balls still offer good grip and bounce, this tells a lot about durability. You may have this question in your mind, which one of these are better and what is the difference. Well the difference is only one that is worth noticing: Solution model has moisture technology and this is the main difference. Also it’s an official NCAA game ball and that fact is also added to the price. This is a good choice to buy this ball, you will be getting top notch indoor basketball with all the tested features, it’s a no miss deal as many players still love this ball to this day and do a repeat buys after they wear the ball down after daily use in a year. , this just proves about quality and value offered by Wilson Solution. Keep in mind that this ball is for indoor play only, if you use it outside it will wear down quickly.